Mumbai, 30th August 2016: India’s leading media and Entertainment Company, Wizcraft has successfully delivered some of the most spectacular events the country has seen this year. From conceptualizing the very first town hall under MyGov, to celebrating the inspiring life of Baba Banda Singh Bahadur, they have proved their mettle by bringing to life the most unique and path breaking ideas and progressively contributed towards nation-building. 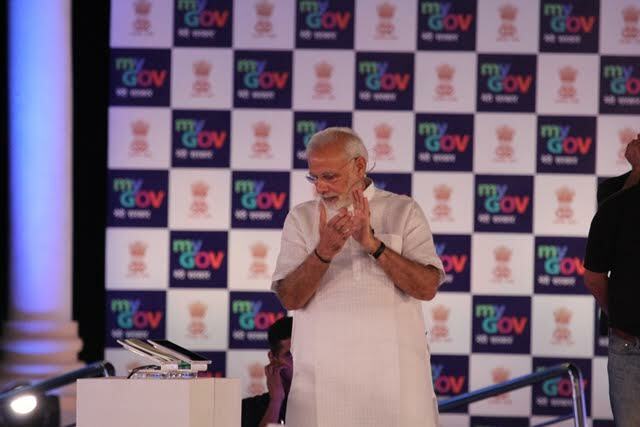 This year, the biggest highlight has been Prime Minister Mr. Narendra Modi’s dream of being one with the people of our nation and this dream was realized by Wizcraft at the successful completion of 2 years of MyGov’s participative governance, in August. 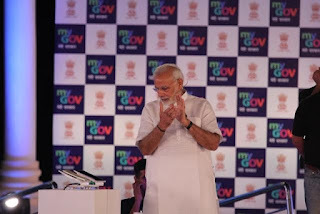 For the first-time ever, citizens from across the country came together on one platform to raise their concerns before the Prime Minister, who addressed the same and also presented before the world the achievements and highlights of our government and the idea of technology-assisted Jan Bhagidari in all spheres of governance. Since this year also marked the 300th Shaheedi Samagam of Baba Banda Singh Bahadur,Wizcraft brought to life the story of the great warrior on a larger-than-life canvas by video-mapping Asia’s tallest War Memorial Minar in Chappar Chiri, Chandigarh and a 6 minute firework synchronized with a laser story board show and laser beam show, for the very first time in history. This event witnessed by over 6000 attendees, acknowledged the achievements and heroism of the great disciple of Guru Gobind Singh and was followed by the main event in Delhi on 3rd July, where for the very first time in India, a Live AR was shot with an actual character, who resembled Baba Banda Singh Bahadur, walked into the audience on his horse and made circles around the guests and delivered his message to the youth. 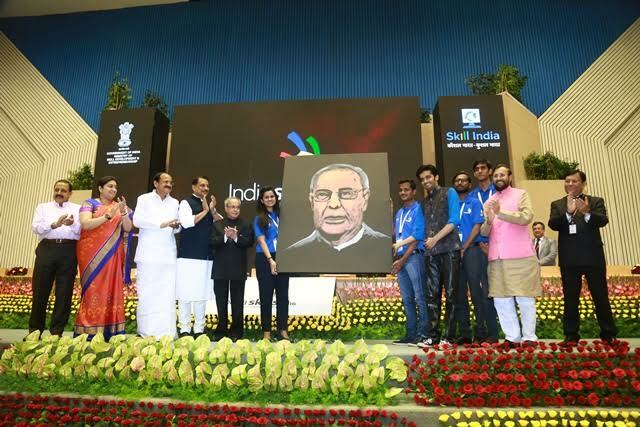 With the Prime Minister of India present, along with the Chief Ministers of Punjab and Haryana and the cabinet ministers, this event was a huge success and left a powerful impact on the younger generation of Punjab and across the nation, and was appreciated for the grandeur of the celebrations. Wizcraft also successfully ideated and executed the ‘India Skills Week 2016’, which began with a Walkathon on 15th July at India Gate lawns followed by the opening ceremony at Vigyan Bhawan, where the Hon’ble President of India, Dr. Pranab Mukherjee inaugurated the launch of India Skill Center, PMKVY2.0, LMIS, the Skill India online portal and the India Skill 2016 Competition in the presence of Shree. Rajiv Pratap Rudy, Dr. Jitendra Singh, Mr. Prakash Javedekar, Smt. Smriti Irani and Mr. Venkaiah Naidu. This 3-day event, which included an exhibition at Pragati Madan that saw a footfall of 50,000 visitors, communicated the initiatives and achievements of Skill Development Ministry seamlessly. The participants showcased their talent and skills in the form of a skit, dance or a fashion show, in the presence of Mr. Rajiv Pratap Rudy, Mr. Suket Dhir and Mr. Krishnamachari Srikkanth, and the finalists of India Skill 2016 will get an opportunity to participate at the World Skills International Competition in Abu Dhabi next year. Bringing together The President, the Vice President and The Prime Minister of India on one stage, Wizcraft proudly organized and executed the inauguration of Rashtrapati Bhavan Museum, which exhibits all the antiques received by the President and the key memorabilia at the museum as an appreciation of our country’s rich heritage. A specially created structure with unusual sizes was set up to ensure maximum visibility for the museum and the clock tower and was beautifully lit with intelligent lights and floral décor. The event saw the launch of a Hop-On Hop-Off bus, along with 5 books and a microsite. The inauguration event was attended by the Chief Justice of the Supreme Court, the Chiefs of the Armed Forces, 36 Governors of 29 states and 7 Union Territories, Leaders of Opposition in Lok Sabha and Rajya Sabha, Speaker of Lok Sabha, top 16 Cabinet Ministers, along with the leaders of political parties in the country, Chairmen of Parliamentary Standing Committees, Members of Cabinet Committee on Security, Cabinet Committee on Home Affairs and Cabinet Committee on Political Affairs, among others.